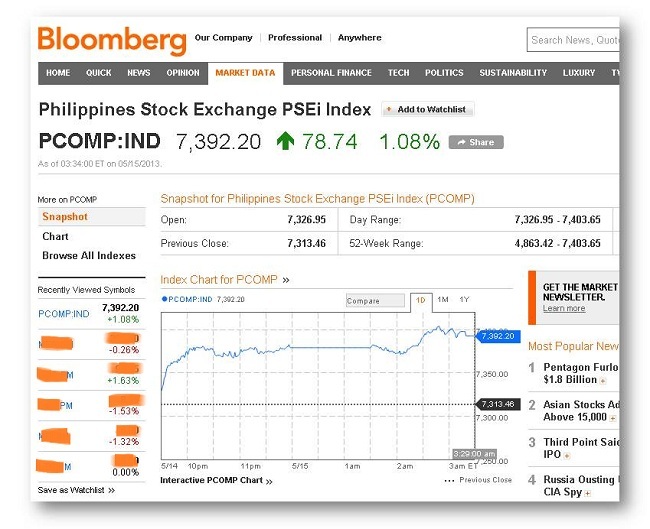 The Philippines Stock Exchange Index sets a new record on Wednesday, May 15, 2013. The country's stock market index reached 78.74 points or 1.08 percent to its best finish record of 7,392.20, marking the 31st record-closing for this year 2013 and the 92nd all-time high under PNoy governance. 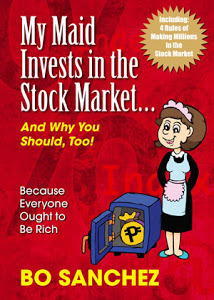 We also hit 7,403.65 level, the first time in the history of Philippines Stock Exchange. This 31st all-time high record is the fifth successive rolling record. The previous record was just yesterday, wherein the Philippine Stock Exchange Index (PSEi) Breaks The 7,300 Mark, The 30th Record High. Let's be optimistic that this positive trend will continue day by day. 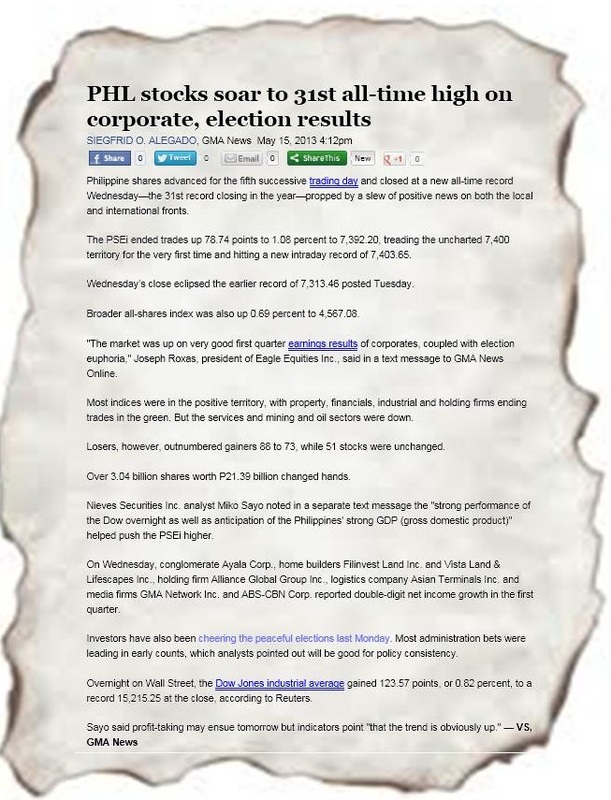 Below you can read a Philippines Stock Exchange related news from GMANetwork.com. "Philippine shares advanced for the fifth successive trading day and closed at a new all-time record Wednesday—the 31st record closing in the year—propped by a slew of positive news on both the local and international fronts. The PSEi ended trades up 78.74 points to 1.08 percent to 7,392.20, treading the uncharted 7,400 territory for the very first time and hitting a new intraday record of 7,403.65. Wednesday’s close eclipsed the earlier record of 7,313.46 posted Tuesday. 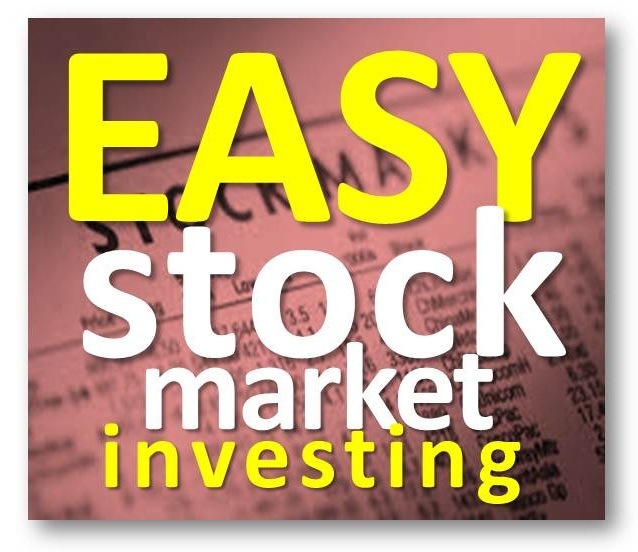 Broader all-shares index was also up 0.69 percent to 4,567.08." Hi, Christine. Thanks for sharing pseacademy here. same is true with Truly Rich Club by Bo sanchez.